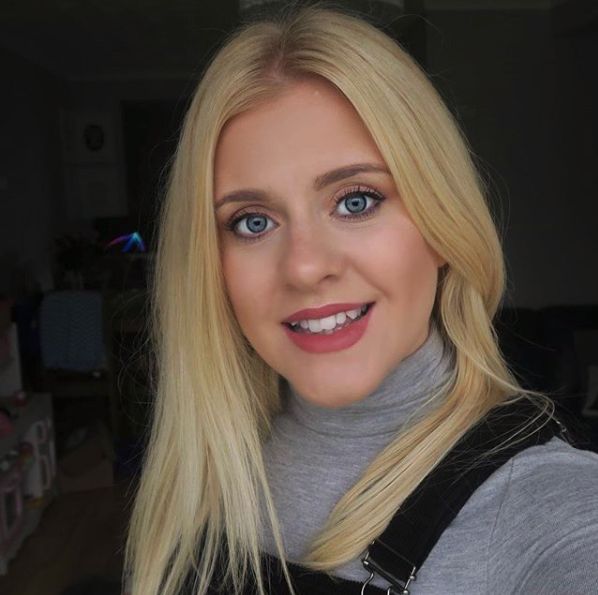 Halloween is just around the corner and as alway the kids have been up to all sorts of fun activities to get them them in the spooky spirit. 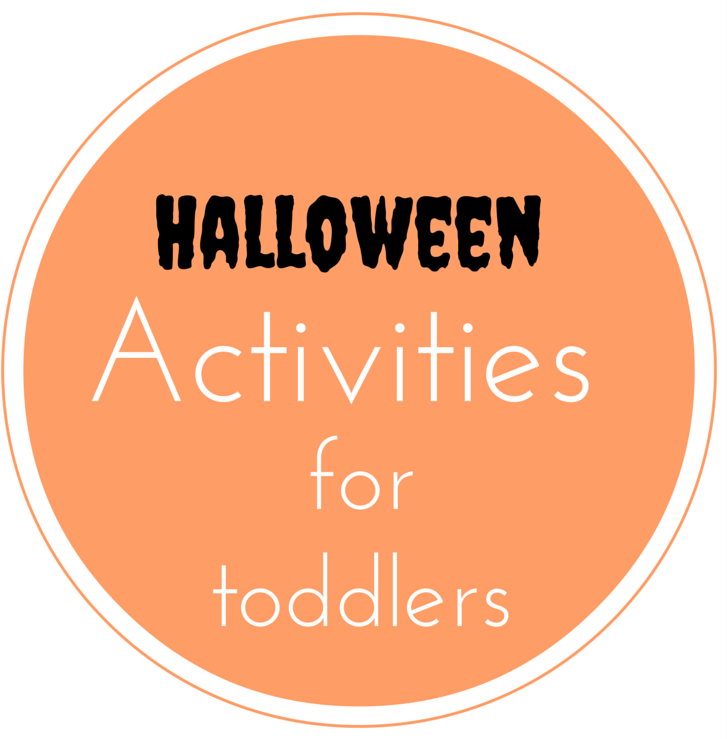 These are my 5 fun Halloween activities for toddlers. 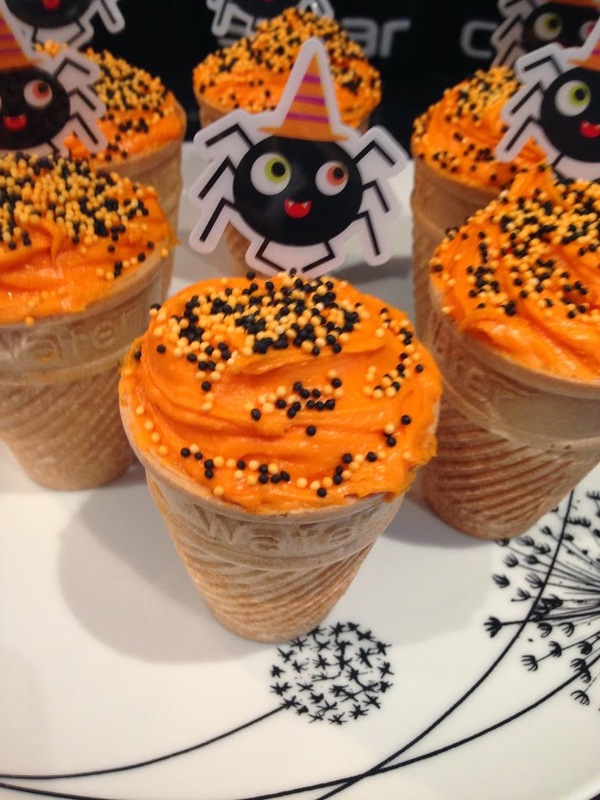 I picked up some orange flavour frosting in asda the other day and a bunch of halloween decorations the kids loved making these spidery cone cakes. Having a cupcake in a cone makes it so much easier for little hands to handle, they get a lot less sticky. We also made these little fairy cakes using a white chocolate button and some icing pens. 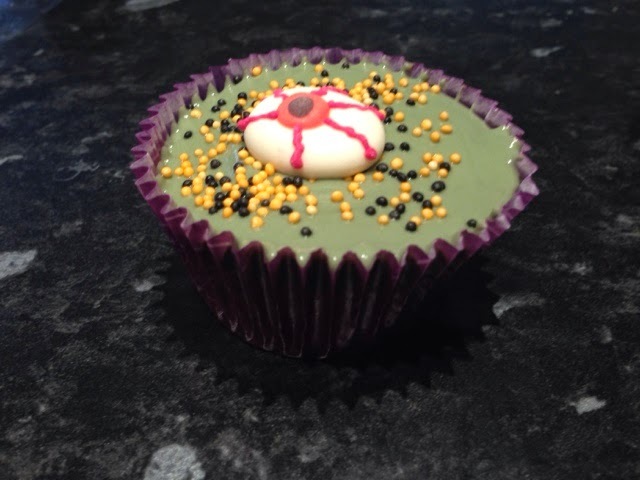 It’s all in the detail and the girls had so much fun decorating their spooky cakes. 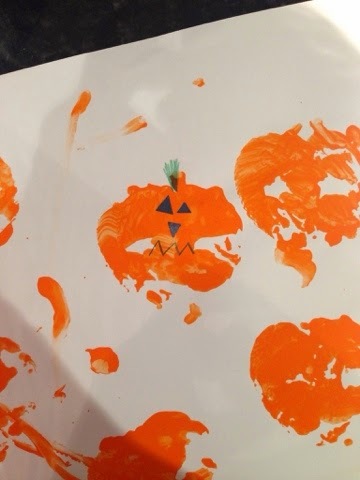 Cut some apples in half and let the kids print some pictures with orange paint, they’ll make the perfect pumpkin shape. I cut out some little triangles for eyes and the girls added more detain with colouring pens, ta-da! Tip: if you use a big roll of paper you can create a make shift table cloth. 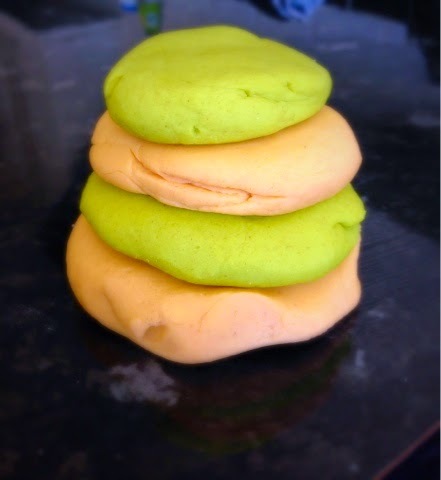 I made some orange and green playdoh using the easiest play dough recipe ever! Tip: gel food colours work a lot better and will give a much more vibrant colour. I set the kids up wit some halloween style cookie cutters and they had lots of fun cutting out bats and spiders. 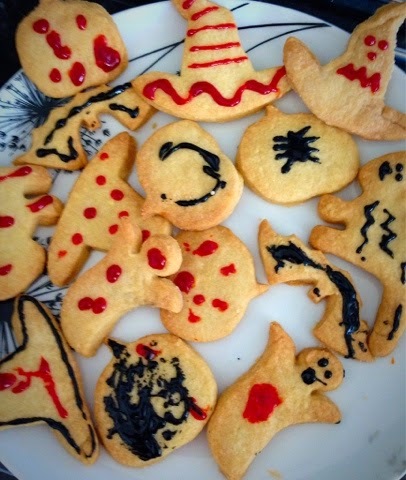 I baked some little short bread biscuits and the kids went wild with icing pens! They loved this activity and it’s one of those activities that takes very little set up and supervision. You can also help finish off the tasty biscuits. For the obvious reasons the little ones can’t do the carving with knives but they can still get stuck in with the design and scooping out the insides! 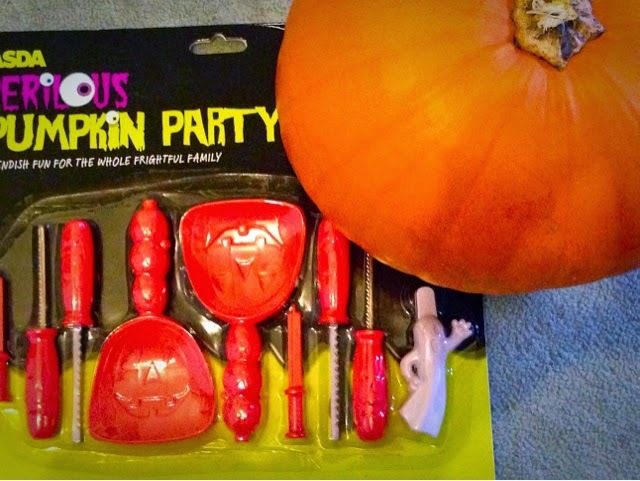 They’ll love getting their hands stuck in and getting all messy. 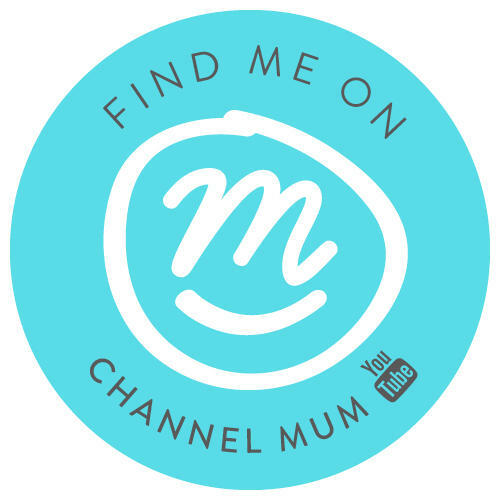 I hope you and your little ones have fun with these super simple Halloween activities for toddlers!